During each diaper change, clean baby's skin carefully using Dermo-soothing wipes – fragrance free for diaper change. The convenient packaging is designed to be used with one hand, as one cloth pulls out the next. 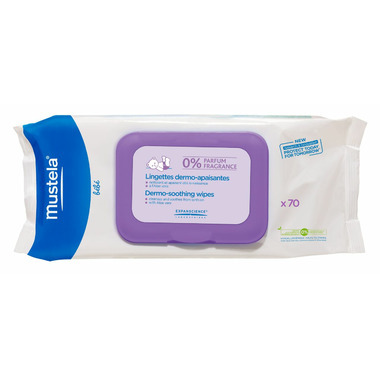 Gently dry baby's skin then apply Mustela Vitamin barrier cream before putting on a clean diaper.